Throughout adolescence nearly every woman deals with acne breakouts of some kind. And a common misconception is that they will eventually go away later in life. Unfortunately, that is not true, and acne breakouts can occur at any age. The main reason for them to occur beyond adolescence can be attributed to hormones, and in women in particular, their menstruation cycle. Prior to menstruating, an imbalance in hormone levels can stimulate the sebaceous glands which in turn produces excess oil. This causes the pores in the skin to become clogged, leading to inflamed lesions on the skin. These hormone driven breakouts typically occur on the lower part of the face, around the jaw or chin area. 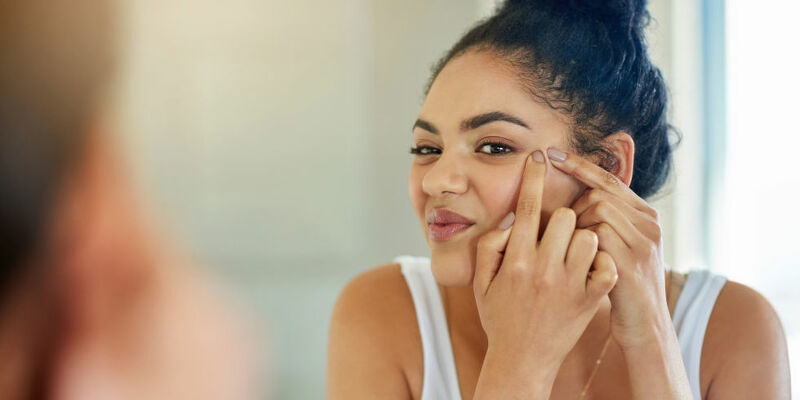 Although these breakouts are internally influenced, topical treatments are important to ensure that the condition is maintained and does not worsen. SkinCeuticals Blemish + Age Defense is a great option because it helps decongest clogged pores and fight the formation of acne. Not only does it help with that, but it can also improve the appearance of fine lines and wrinkles. For more serious hormonal breakouts, providers may recommend certain contraceptive pills. This is due to the fact they can regulate hormone levels and prevent stimulation of the oil glands in the skin. Unfortunately, the relationship between hormones and breakouts will always be prevalent, but there are options to keep the condition under control. Contact our office today if you believe you are experiencing hormonal breakouts.